When searching for a team of commercial electricians to cater to your business’ electrical systems, look no further than AP Electrical Contractors Ltd. Situated in Plymouth, Devon, we offer everything from electrical maintenance and troubleshooting to installations. As experts in all aspects of the trade, we’re here to provide a high-quality solution to your commercial electrical needs. Is your business suffering from electrical faults? If so, turn to AP Electrical Contractors for assistance. 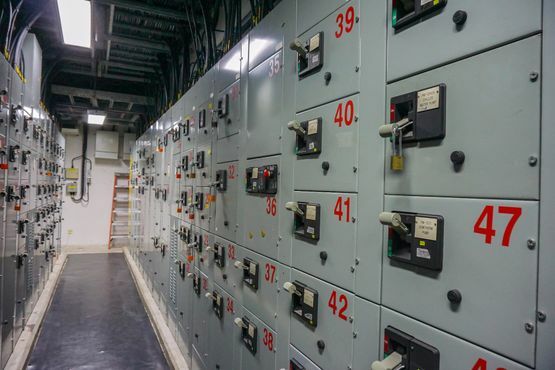 As a time-served team of professionals, we understand just how important it is to resolve electrical problems within your company as quickly as possible. Our emergency engineers endeavour to reach you at the earliest time possible to get your business back up and running. Whether you have a small office space or a large commercial premises, we’re on hand to help you. We’re specialists in providing electrical installations, inspections, and fault finding services to suit your needs. From design and certification to warranty and ongoing maintenance, we provide a vast array of commercial electrical services. We are available for work on offices, building, shops, and housing association contracts. Contact our commercial electricians today, in Plymouth, Devon, to find out more about our electrical maintenance work.